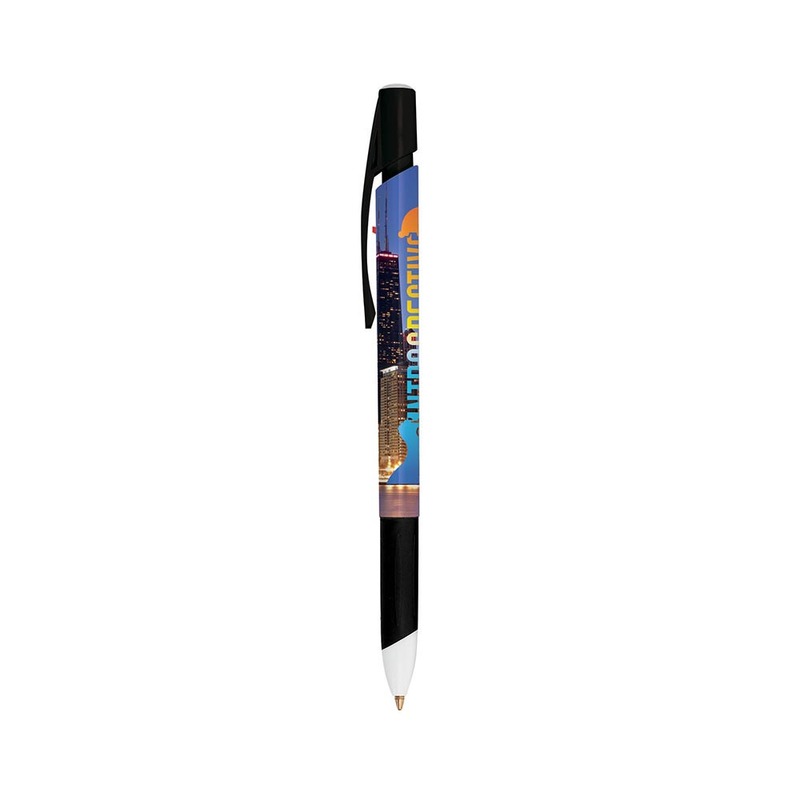 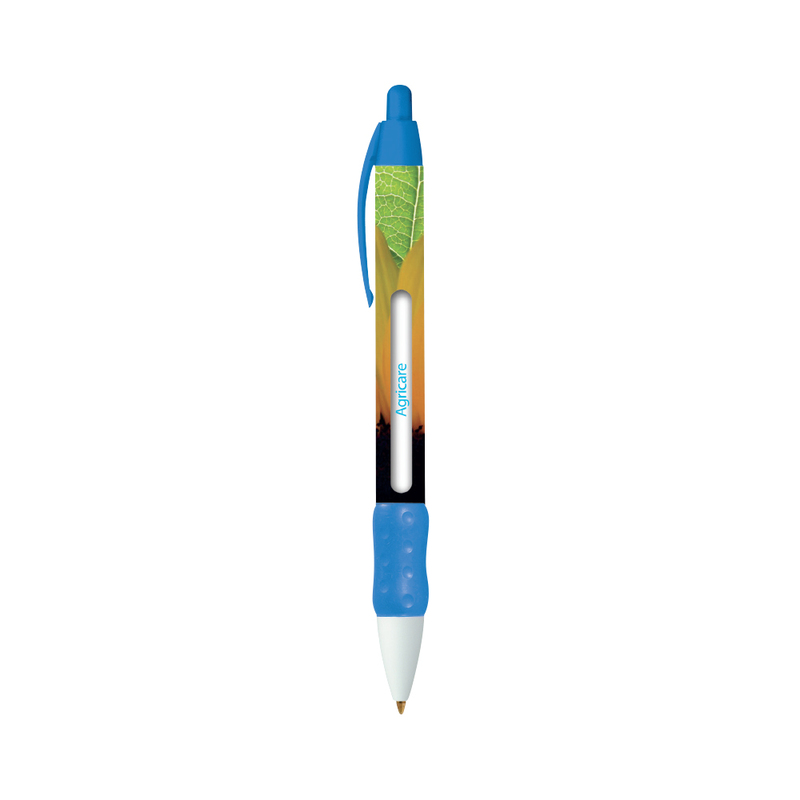 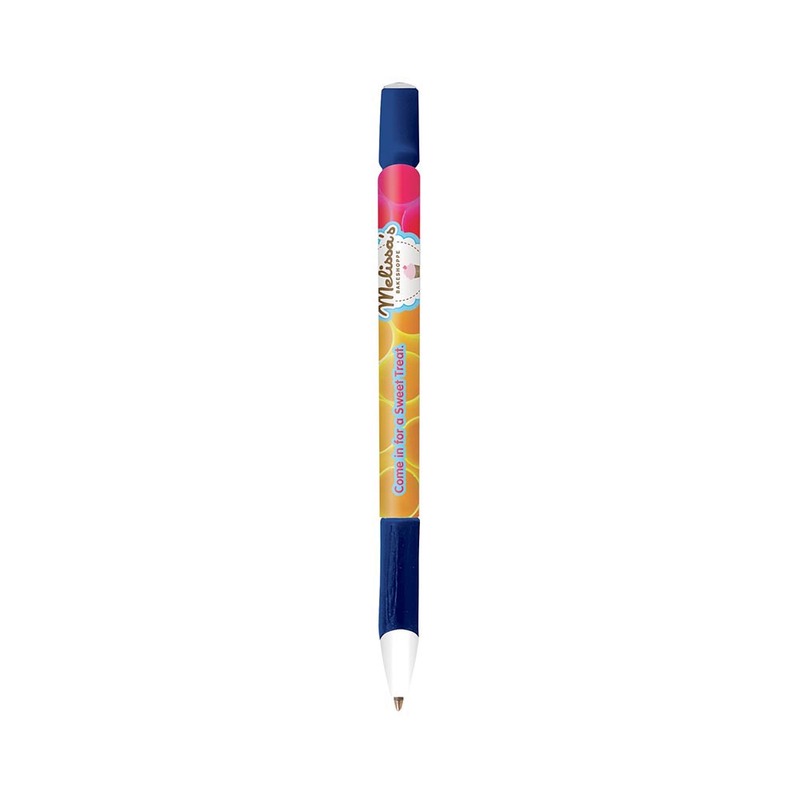 A Bic promotional pen that has so much to offer, you are spoiled for choice. 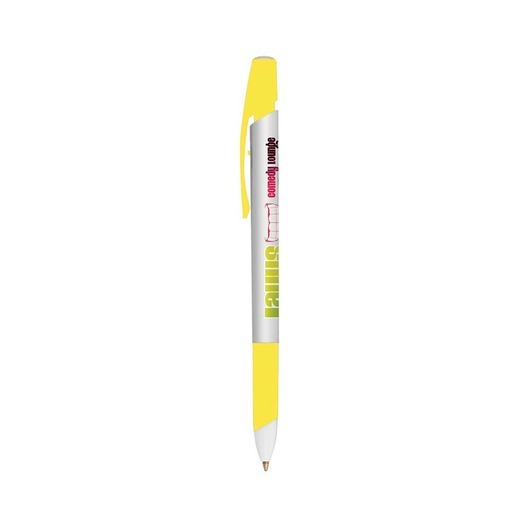 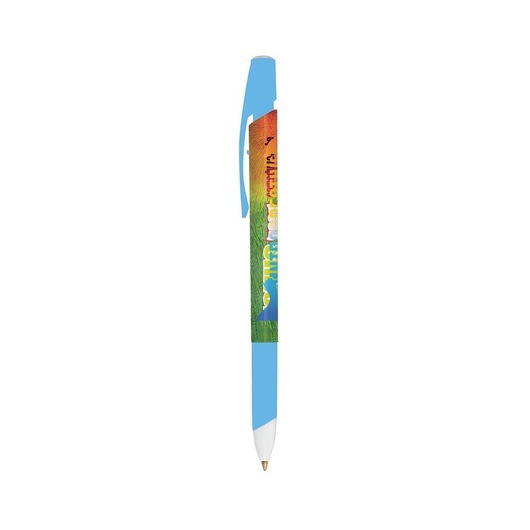 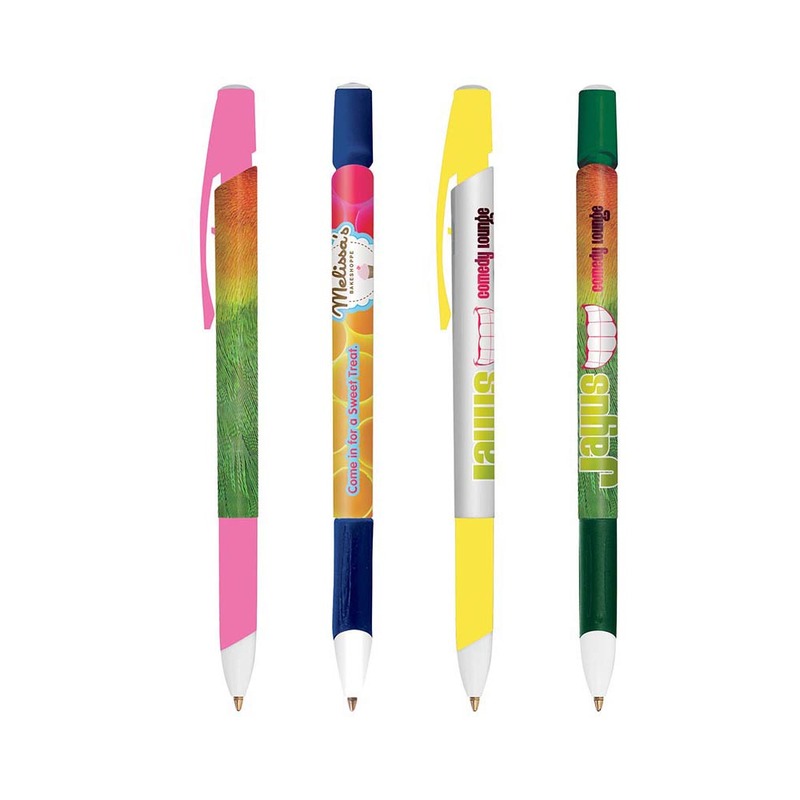 A pen with a number of customisation options as well as a full colour, full-barrel artwork decoration that allows you to get the most out of a promotional pen. 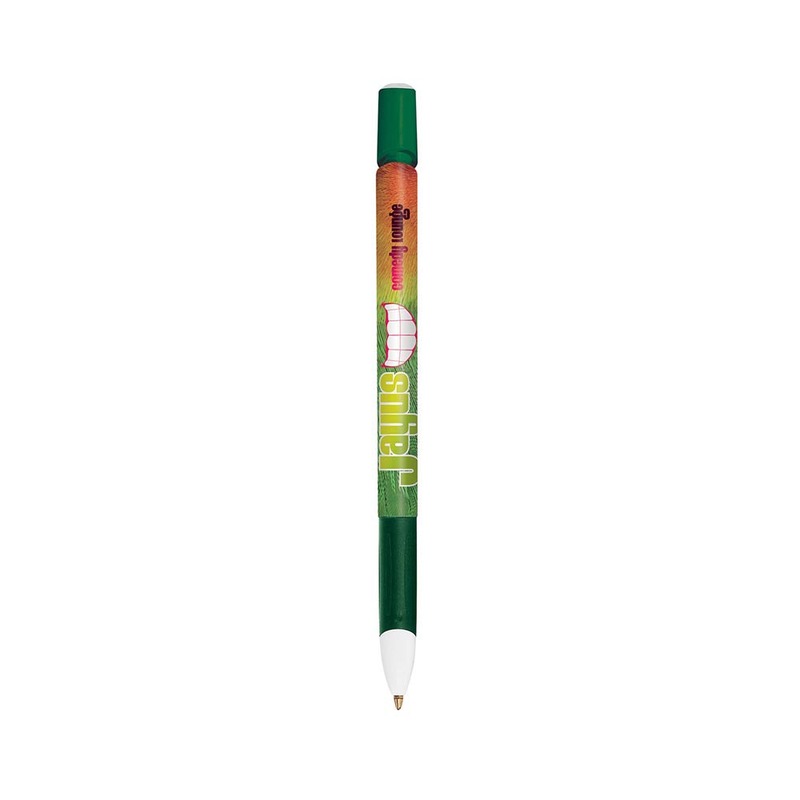 These pens have a comfortable grip as well as your choice of 7 coloured grips/tops. 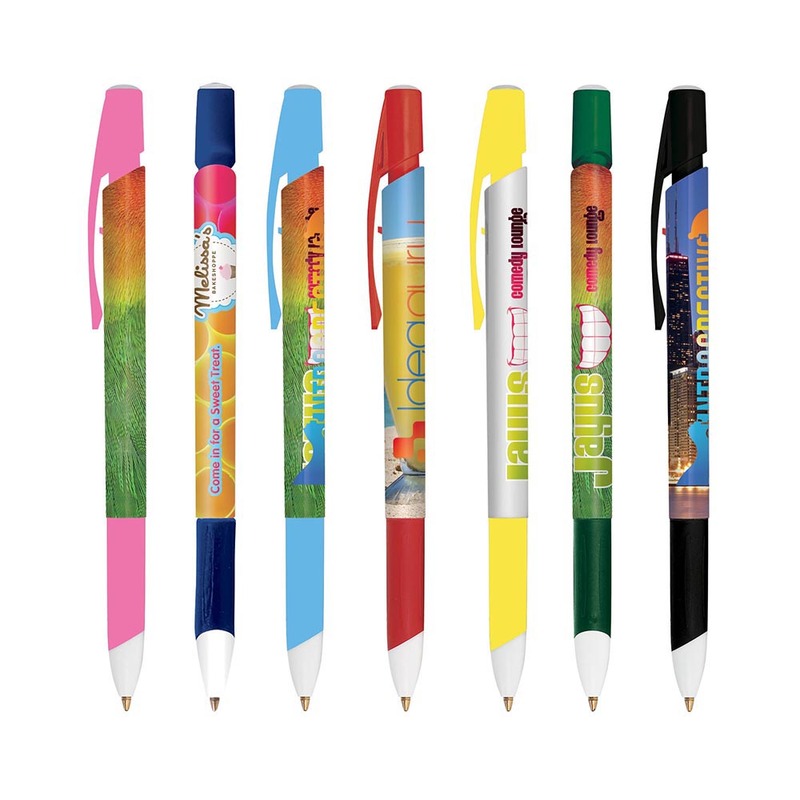 Another huge feature of these pens is your choice of ink options: Choose between medium, easy glide and fine for the perfect plastic pen.